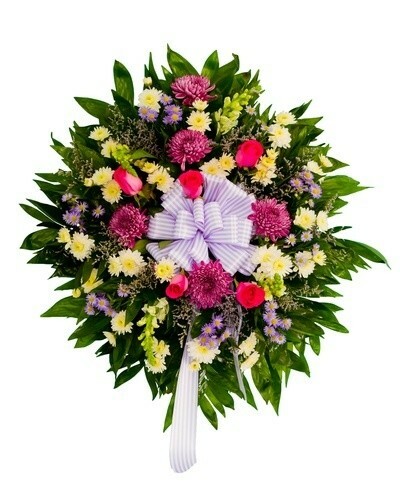 The Peaceful funeral spray available for delivery in all cities of Spain radiates color and light to honor the life of someone joyful and happy. We guarantee same-day delivery of funeral sprays to Spain if you place your order by 14h (Spain). This funeral spary will include vibrant flowers and lush greens. 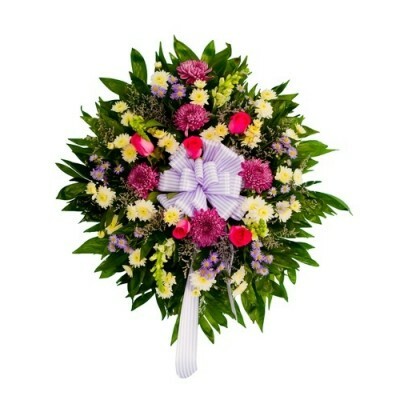 Floresnaweb will chose the freshest blooms to honor the life of the deceased in Spain. Substitutions may be necessary to ensure the wreath is delivered on a timely manner depending on availability.